It makes absolutely no sense to purchase an expensive roof rack if you don't know how to keep your roof rack safe. Take care of your roof rack and your roof rack will take care of you. 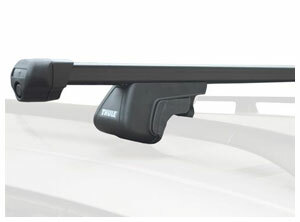 The following are some helpful hints and tips to help you maintain your car top roof rack. Anything that stays outside for an extended period of time needs periodic maintenance and the roof rack is no exception. Installing a roof rack on the car and never even maintaining the rack can lead to a very expensive lesson... like losing or damaging the outdoor adventure gear that is being carried. Periodically, take the roof rack off and completely clean the rack with warm and soapy water. Make sure the rack is completely dry if the rack is going to be mounted directly on to the roof with any pads. Lubricate all bolts, tightening knobs, locks, washers, etc. If you are in a salt water environment, make sure all the bolts, screws and washers are stainless steel. If corroded, go to the local hardware store and replace all corroded pieces. Check the rest of the rack for rust or any chips. Rust proof any places that might start giving the rack any trouble. The use of spray oil is an easy way to lubricate any parts. Tighten all bolts (but do not over tighten). Inspect for any wear on any of the parts as you don't want to be looking in your rear view mirror and see a kayak, a bicycle, etc. bouncing down the road in back of you. Check all the plastic and rubber pieces for cracks or tears. Don't ever overload the rack because a couple of extra people are getting a ride in your car and they need their equipment carried. That is potential for disaster. Learn how to pack or load the rack for the least amount of wind resistance. If carrying kayaks, make sure the kayaks are also tied from the bow and stern to the car. Make sure the load is carefully balanced on top of the car. Check for frayed or warn straps and loose buckles. Replace them before any danger occurs. Stuck cam buckles can be washed with hot water to loosen up the buckle. Be aware of any extra height due to the gear that is now on the roof. Also be aware if the gear exceeds the length of the car. If necessary, tie a red flag on the back of the gear.